It is very unlikely that your home is too small to give birth in! Having a baby does not require a lot of space. You need a place large enough to lie down and space around you so your midwives can access you and set up their equipment. The size of your home isn’t important; what matters is that you feel safe and comfortable there. What if my home is not suitable for a home birth? Many people worry unnecessarily that their home is not suitable for a home birth, but if you are considering having your baby at home, your midwife will plan a home visit with you before your due date to discuss how to prepare to give birth there. For example, during this visit, your midwife will assess the best ways for Emergency Medical Services (EMS) personnel to access you in your home environment in the rare event that you and/or your baby need to be urgently transported to hospital by ambulance. What supplies do I need for a home birth? Midwives come with all the necessary medical equipment and medications for you to safely give birth in your home. The Ontario government supports home birth and recognizes that people who choose this option should not have to pay for disposable items that would be available if their baby was born in hospital. Your midwife will provide you with these supplies if you choose to have your baby at home. You may be asked to have additional items available, including diapers and receiving blankets; use our handy home birth supplies checklist to help you plan. What if I live far from the hospital? When discussing whether a home birth is right for you, your midwife will take your home’s distance from the hospital and additional factors (e.g. weather conditions, potential traffic, etc.) into consideration. If you live in a rural area, your midwife may recommend that you pre-register with ambulance services so emergency medical personnel can reach you as quickly as possible in the unlikely event of an emergency. What if I don’t have a home? If you do not currently have stable housing, you can still have an out-of-hospital birth or give birth in a home setting. Your midwife will talk to you about your personal housing situation and help you determine what out-of-hospital options are available to you in your community. 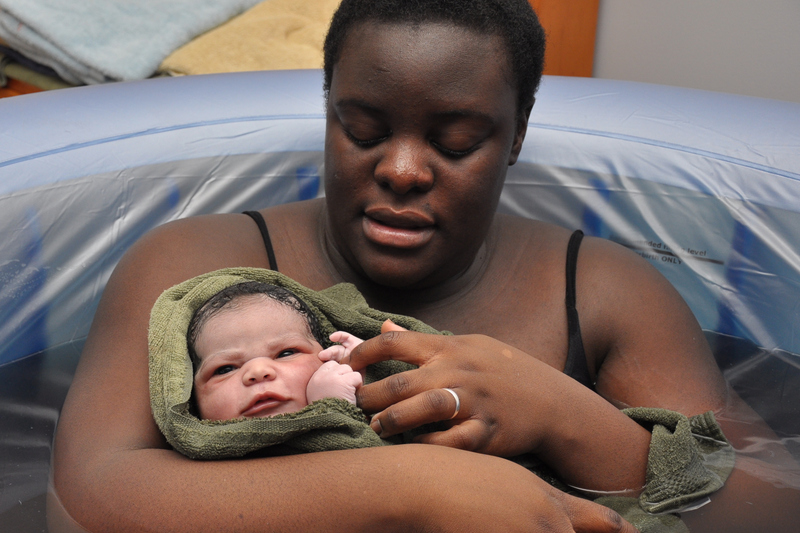 People often worry that home birth will be messy – midwives hear this a lot! Your midwife will provide you with large, absorbent, disposable underpads to help prevent soiling materials and surfaces during labour and birth, and you will receive instructions about how to further protect your mattress and floors. After the birth, when it’s time for your midwives to leave, you can expect to be tucked into a clean bed with only one bag each of laundry and garbage. What’s more, you will receive practical instructions on how to care for your laundry, put your garbage out and safely store and/or dispose of your placenta. When you plan a home birth, it is up to you to decide how many (or how few) birth companions, family members and/or friends are there with you. However, midwifery is a growing profession, and many midwives teach and supervise students while providing care. Midwifery students will therefore likely be involved in aspects of your care and may attend your birth, although your midwife will always have primary responsibility for your care. Birth is not an illness. Having a vaginal birth does not require a spotlessly clean setting because birth itself is not free of germs. Unless you give birth by C-section, you do not need a sterile environment to have your baby in! You do not need to clean your home using the same infection prevention measures they do in the hospital to avoid getting an infection. If your midwives feel a cleaner environment is needed, they come equipped with the supplies required to help prevent infection. At first glance, a hospital may look cleaner than your home, but research shows that Canadians get infections from being treated in hospitals every year. Even with strict cleaning and disinfection protocols, it is very difficult for hospitals to control infection risks because of the large number of sick people who pass through them every day. That doesn’t mean that you or your baby will get an infection if you go to the hospital. Healthy people are at lower risk of infection than sick people in hospitals. It does mean, however, that you are less likely to come into contact with infection in your home than in a hospital. See how your hospital measures up with their infection prevention measures! Some people are vocal during labour, and many people in labour make loud humming or moaning noises as shown in this video. In some cases, people make louder sounds for a short period of time as they are pushing their baby out. Most neighbours don’t find this too disruptive. However, it is a personal decision whether you inform the neighbours in advance about your planned home birth. What are my options for pain relief at home? *Not all midwives carry this equipment. Ask your midwife what pain relief options they offer. Pain relieving medications such as epidural analgesia are only available in the hospital. Many, but not all, Ontario hospitals offer epidural. If you need, or choose, to have an epidural, you and your midwife will make a plan to move to the appropriate hospital to access it. You can talk to your midwife about what is available in your community.